I visited an offbeat place near Mukteshwar in the month of September – Mauna. According to me, this lesser known village has to be the most relaxing as well as the most photogenic places in the Nainital district. It is one of the most breath-taking places to see. It is still an untouched place and thus apart from experiencing the beauty of the surroundings you will also receive immense peace here. Apart from visiting temples here, it is also surrounded by orchids and pine trees. Further, Mukteshwar and Almora both can be visited easily from this place. 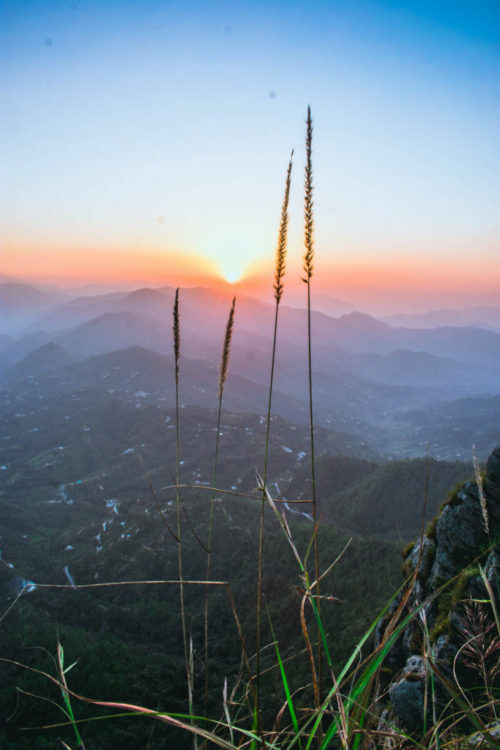 Mukteshwar situated at an elevation of 2,285 metres above sea level from where you can get the excellent views of the Himalayan ranges along with the best sunset ever! Below, I will talk about the accommodation option along with places you can see in this beautiful hill station. Mukteshwar is accessible all around the year. During the summers, the weather is pleasant, which is between March and May. In winters you can expect heavy snowfall, which is between January to March. Summers offers majestic sceneries with the trees heavy with fruits, while it is at its best during the monsoons as the entire area is full of greeneries. If need be, avoid going during the heavy rainy season and snowy winters as there might be traffic blocks. There are several ways through which you can reach Muketshwar. The simplest is to take a transport from Delhi overnight and reach Muketshwar the next day, in the morning. Below, I am listing down the modes of transport from Delhi which you can take to reach Mukteshwar. The cheapest route to reach Mukteshwar is to take a bus to Kathgodam from Delhi. There are two trains that leave Delhi for Kathgodam. You can find these trains on www.irctc.co.in and make the booking as per the time slot that suits you. The best would be to take an overnight train to Kathgodam and from the train station, you can take a bus that leaves for Mukteshwar. On average, it takes about six to seven hours to reach Kathgodoam. From Kathgodam, it takes another three hours to reach Mukteshwar. Buses run frequently from Kathgodam for Mukteshwar. If you want the entire journey to be covered by bus, you could do so by taking a bus from ISBT Kashmiri Gate or Anand Vihar ISBT to either Kathgodam or Haldwani. There are regular buses running from these places to Mukteshwar. Alternatively, you can also book a luxury bus to Nainital or Haldwani. From Nainital or Haldwani regular buses or shared taxis operate till Mukteshwar. It takes about seven to eight hours to reach Nainital or Haldwani and then another 2 hours to Mukteshwar. I did not only just visit the places in Mukteshwar, but I also went a little ahead, about an hour away from the main town to explore a few offbeat locations which I am really glad about! Some of them are in Mauna. So below you will find both the aspects of the travel in Mukteshwar – a few mainstream places and also some offbeat ones. Located on a hilltop, this temple is a km from the Mukteshwar temple, at an elevation of 2,312 metres above sea level. 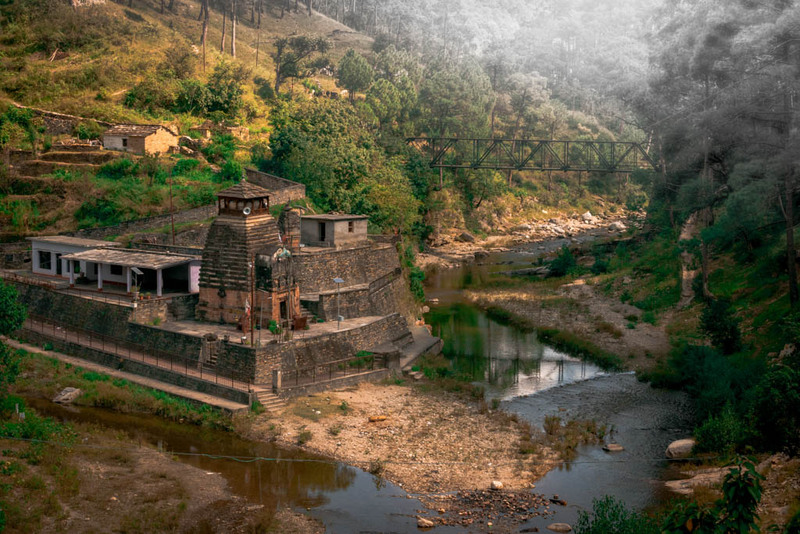 Mukteshwar Temple is an ancient Hindu temple dedicated to Lord Shiva. From further here, you can visit Chauli ki Jali which is the most magnificent making of nature. I have covered it below about it in detail. Apart from offering beautiful views, this place is also famous for its adventurous activities such as rock climbing, zip line, paragliding. It is closer to the Mukteshwar temple. The panoramic view from here is breathtaking and during the sunset, one can see the red streaks in the sky shining brightly in the valley. Mauna is about one and a half hours away from Mukteshwar and is one of the most amazing places to visit. I happen to stay in Mauna rather at a place from where I was able to see Nanda Devi and Trishul peaks clearly. Below, I am covering the places you can cover in Mauna which is also closer to Mukteshwar. This is a 20 minutes ride from Machus Cottage (my accommodation) and then 10 minutes downhill walk that passes through the river stream or a crossover bridge. It is an ancient temple dedicated to Lord Shiva that was built somewhere around the 8th century. Further, you can enjoy the river streams – Kumiya and Sakuni here. You can also go on a short hike amidst the Pine forest where you can visit temples right in the middle of meadows. 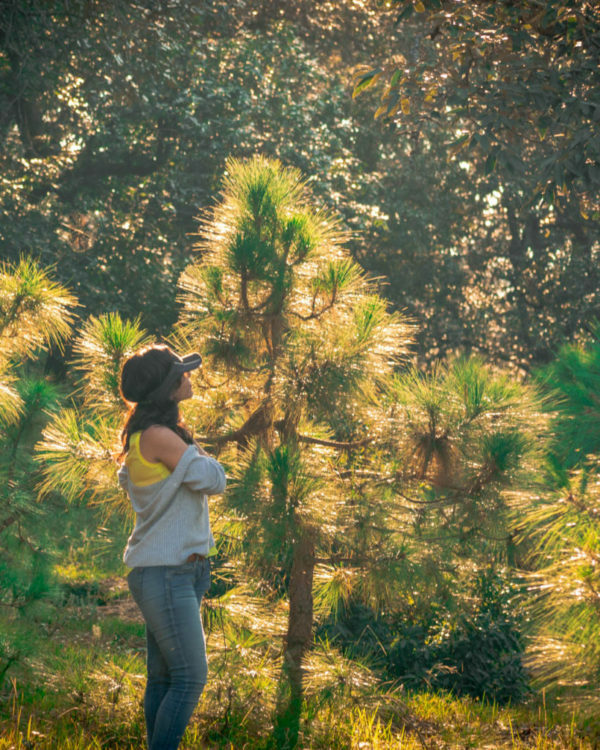 The pine trees during the golden hour make the forest very majestic and alluring. Further, you can also see the locals happily farming, which helps in understanding how the locals are. As a part of the ‘Stay on Skill Accelerator‘ program, an initiative by ‘Stay on Skill‘, they asked me to experience Machus Cottage, a paradise hidden in the Himalayan region. Their tagline is “a home away from home”, and I couldn’t agree more. As soon as I entered the road that leads to the village of Mauna, I knew that this would be a peaceful place. The road was empty with not a single vehicle to be seen even at a far off distance. There were Nanda Devi peak (the second highest peak of India) and Trishul peak right in front of us. It was mesmerizing! 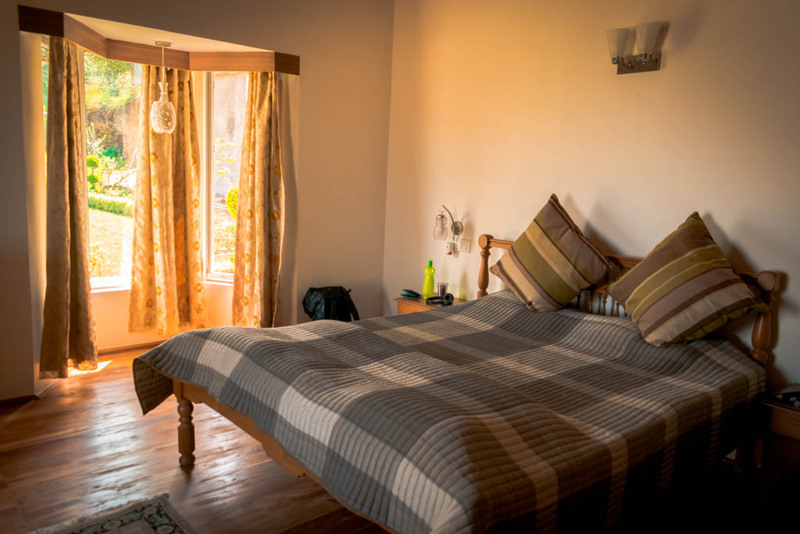 Machus Cottage is located in the sleepy village of Mauna in the Kumaon hills at a height of 5000 feet. 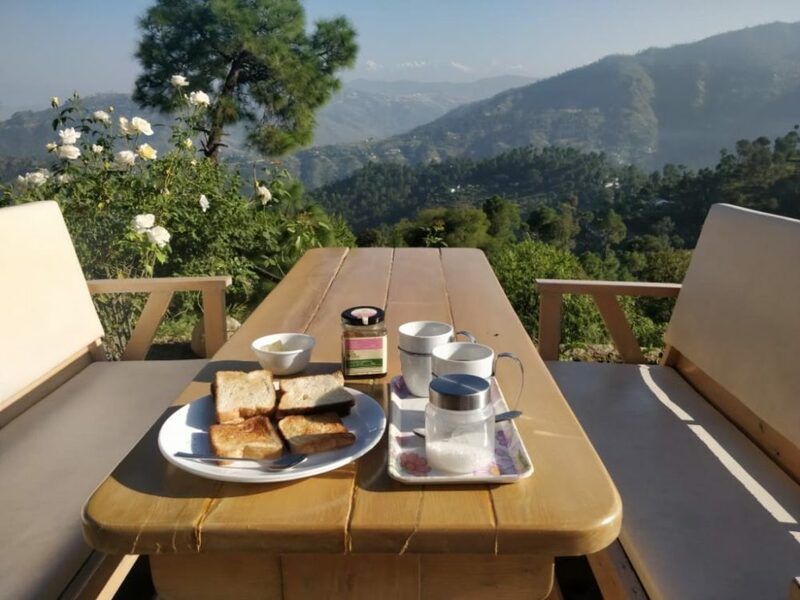 From the cottage, you can see the lovely views of Almora hills and at night the twinkling lights of Almora are alluring. If you are looking for a luxury stay in the lap of the mother nature Machus cottage is the one for you. Surrounded by green hills, this place offers a perfect weekend therapy. The wooden floor and antique structure offer a vintage look to the entire experience. The cottage has five rooms. Either you can book the entire cottage for INR 15,000/- or book a single room whose price varies from INR 4,500/- to INR 5,000/-. The cottage is worth the price though; the king-sized beds, bathrooms with all the facilities and a living area to relax is exceptional. 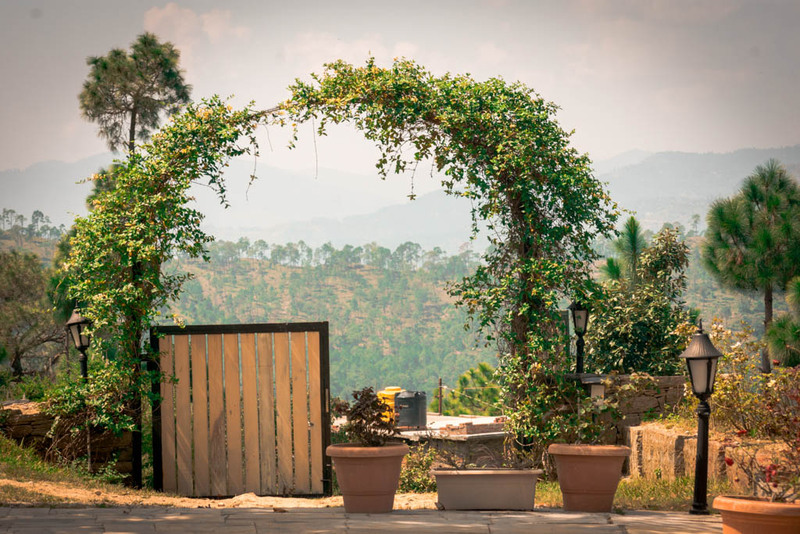 Plus, you will be face-to-face with the Kumaon hills. If you are staying in Machus Cottage, you do not have to worry about the food to eat. This property offers mouth-watering cuisines with a homely vibe. You can choose either a vegetarian cuisine or a non-vegetarian. They also have menu cards in every room where you can easily opt for snacks, beverages or proper meals. Below, you will find the places I visited during the weekend. 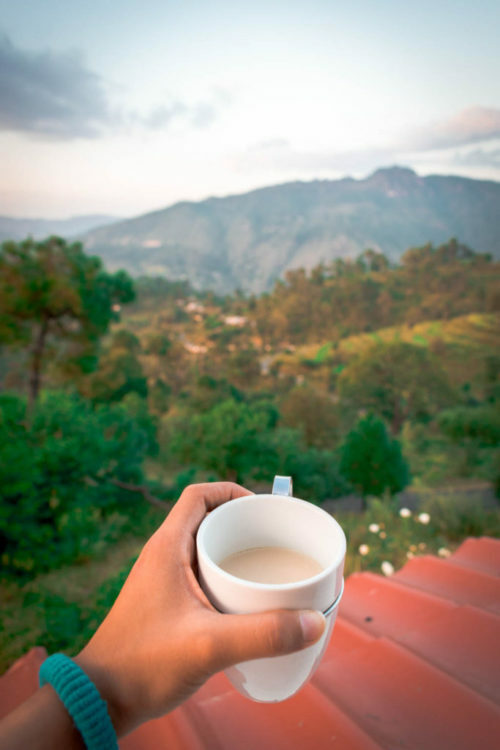 This will also show you how you can get the best of both the worlds – Mukteshwar and Mauna. The bus would cost about INR 600-700/- till Kathgodam or Haldwani. From Kathgodam you can then take another bus to Mukteshwar that would cost another INR 200/-. Although, if you plan to take a train instead, you can get a chair car seat for as cheap as INR 110/-. You can also book a seat in 3rd AC coach for about INR 1,500/-. All in all, it depends on how much you want to spend. You can set a combination of transport on the basis of your budget and comfort. However, in the case you opt from a train ride, do remember to book the seats well in advance. Machus Cottage can be booked for the entire family. You can also book on a per room basis. 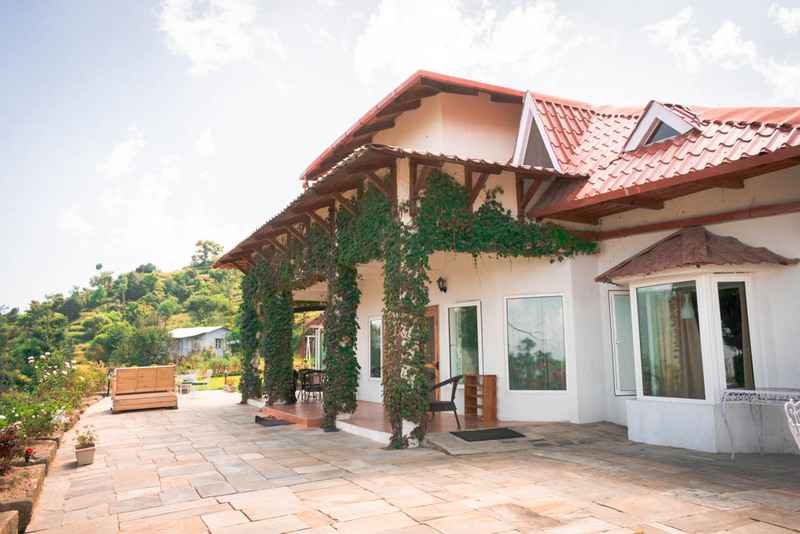 The cost of the entire cottage is about INR 15,000. However, if you plan to opt for a single room, the price of the room varies from INR 4,500 to INR 5,000. If you want to book a taxi for a day tour, the cost of the cab is about INR 3,000/-. Again, you can take buses or shared taxis to go from one place to another, but in some of the remote locations like Kapileshwar Temple, getting a bus or a shared taxi becomes difficult. Hence, the best mode would be to hire a private taxi. An alternate route can be to take a private taxi till Kwarab that costs about INR 300/-. From Kwarab, there are many shared taxis and buses running in all directions of Almora and Mukteshwar. I hope you will enjoy the stay in Mukteshwar. Do comment below if you need any help further with the planning!